If you missed the chance to go to Bournemouth then you have a better chance to get tickets for Huddersfield. Cardiff City will get double the allocation of tickets for the Premier League fixture away at Huddersfield on Saturday August 25th than they did at Bournemouth. As such restrictions for purchase are less strict and tickets are now on sale. Cardiff won their last game at the now named Kirklees Stadium 3 - 0 on the final day of the 16/17 season. Ambulant Disabled supporters pay their age appropriate rate. Personal Assistants free of charge if required. 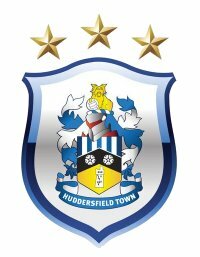 Huddersfield Town would like to make supporters aware that tickets will be checked upon entry and when needed ID will need to be shown. There will be no upgrades on the day of the game. Tickets on sale from 2pm on Wednesday 8th August 2018! • Current Season Ticket Holders who have attended 4 or more away league fixtures during the 2017/18 Season. • Club Members & Flex5+ Members who have attended 7 or more away league fixtures during the 2017/18 Season. • Strictly one ticket per qualifying Season Ticket Holder or Club/Flex5+ Member.